Time for another Monday Mary Kay Markdown. I was very pleased with how the event went last week. I hope everyone who ordered is enjoying their cleansers. Today I am featuring the moisturizers that compliment those cleansers. 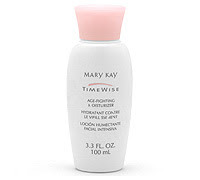 In order of appearance above we first have the TimeWise Age Fighting Moisturizer for Normal to Dry skin. Next is the TimeWise Moisturizer for Combination to Oily skin. This moisturizer will firm, soften and reduce the appearance of fine lines. Your skin will be hydrated for up to 10 hours. 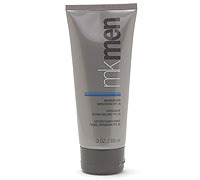 Finally the Mens Moisturizer when used with the Mens face bar will help reduce the appearance of fine lines and wrinkles, and protect the skin with a SPF. Just like last week, when you purchase before Midnight tonight, one of these featured products from MY PERSONAL MK WEBSITE, I will discount your purchase of that item by 10%. Always your satisfaction is a 100% guarantee and shipping is free. Please tell a friend and tune in next week for a new featured product! I would also ask that you view the post directly below this one. My family would so appreciate your prayers. Thank- you.